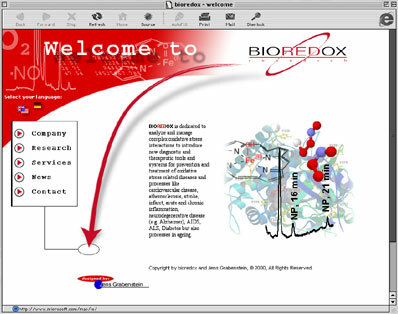 The Bioredox web site is one of my latest projects. The customer is a still to be founded biotech company in Germany. The design expresses the creativity and freshness as wel,l as the excitement involved in the foundation of a new company. It is not as serious as an established enterprise. It is vivid and full of energy.